So! Another cool Apple commercial under my belt. I really like doing these editorial-style commercials (the juxtaposition of the shots lead the viewer to form deeper associations even with seemingly unrelated visuals) and my good clients at Slim Pictures know the secret to booking ol’ Maxi: advance notice! Most clients seem to be booking more and more at the last minute- and that’s not gonna work out with my schedule, usually. But with a couple week’s notice, you can get me every time. They work me hard and fast but it helps a lot that I get a good amount of heads up. 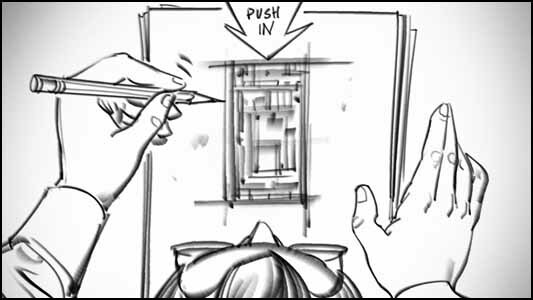 And they also do another thing that helps a great deal- the directors craft perfect shotlists that detail exactly what they are looking for in each storyboard frame. These guys aren’t messing around! This kind of forethought means I don’t have to waste mental energy trying to “read their minds” or fill in the gaps of a half-baked treatment or second guess any of my inferences- it’s all laid out like sheet music, and I just follow the instructions. Good thing too, because they have tight deadlines and it’s always a mad rush to finish quickly- but the results speak for themselves. That’s it! See you next time.